Congratulations on another week of being pregnant! You are now entering your 27th week. Believe it or not, you are almost heading into your seventh month of pregnancy, and the countdown has begun until your little bundle of joy is born. You may be feeling the baby now moving inside you a lot, and you may also feel like you are massive, but don’t worry, it is completely normal to feel like this. Here is some exciting information at 27th week about you and your baby that you may find helpful. Hang in there soldier, you are almost there, and your life is about to change or the better! Did you know: A woman may be one shoe size that she has been her whole life. But once she gets pregnant, she may notice that her shoes no longer fit and may actually have to buy the next size up. The baby is starting to act exactly like how or she will act when they are born. There are certain times of the day when the baby will sleep, and other times, when he or she will be quite active. This is also a very comforting week for mom-to-be because if something was to happen, and the baby was to be born right now, the baby would be so small, but would be able to survive. The end of the pregnancy is rapidly approaching, and mom is not going to be very comfortable especially her back because now she is carrying a growing baby plus a bigger uterus. The worst part about the pregnancy progressing will be problems with the lower body, and mom may have problems sleeping because of leg cramps and other lower body problems such as hemorrhoids, varicose vein in the legs, and swollen feet. The best thing that mom can do at this point is to try and get as much rest as she can, and try to find a position that she can be most comfortable in especially at night. Staying off of her feet as much as possible is going to be one way for an expectant mother to relax. 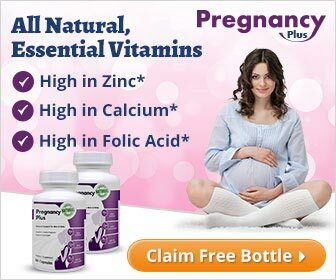 Now is also the time for everyone in the family to pamper the pregnant woman as much as they can. Added Information: What Is a Double Uterus? Anyone that has ever seen a picture of the female reproductive system will see that the two ovaries have tubes leading away from them, and then they meet in the middle to form the large chamber that is known as the uterus. With a double uterus, the two tubes leading from the ovaries do not combine together, and each one has its own chamber. The best way to describe the uterus is to think of it as an upside down triangle, but with a double uterus, the picture of it would be closer to a heart. Though it may seem strange to have the uterus divided into chambers, it does not affect a woman’s ability to have children. In a nutshell, the 27th week of pregnancy is a time of transition because now a baby can be born safely even though there is still a little over two months with the pregnancy. Things are getting more uncomfortable for mom especially her aching back and swollen feet, but soon, she will have a beautiful baby to hold in her arms and love forever.